I was not too sure about this Curry Puff Cafe until some one told me about it and I decided to give it a search around the neighborhood. Though its name as an cafe, it is not exactly one I would say. Its more like some kiosk for taking away snacks or finger food. I have bought 2 kinds of puff, one sardine and the other curry puff. The pastry is crispy and crispy in the exterior and look generous in size. 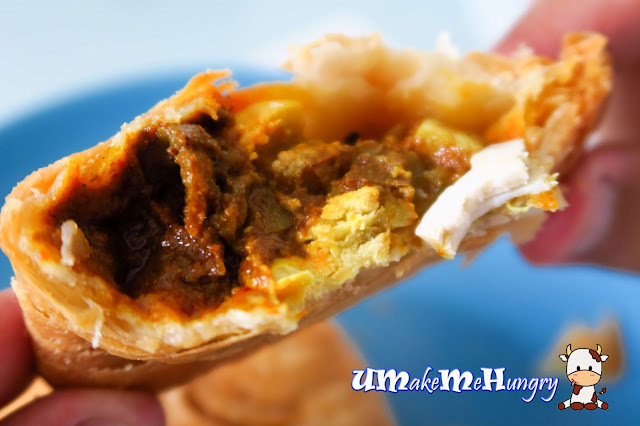 The fillings of the Curry Puff is rather typical with potatoes, egg, chicken cubes mixed amidst in the strong turmeric fragrance from the curry. Spiciness level is still alright. 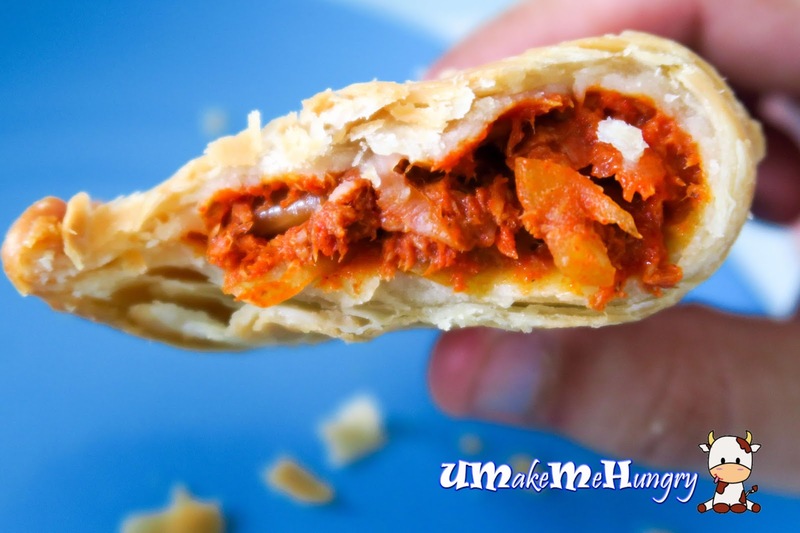 Apart from the Chicken Curry Puff we had, let's take a look at their sardine puff. Stuffing was pretty usual with sardine and onion, nothing to rave about. 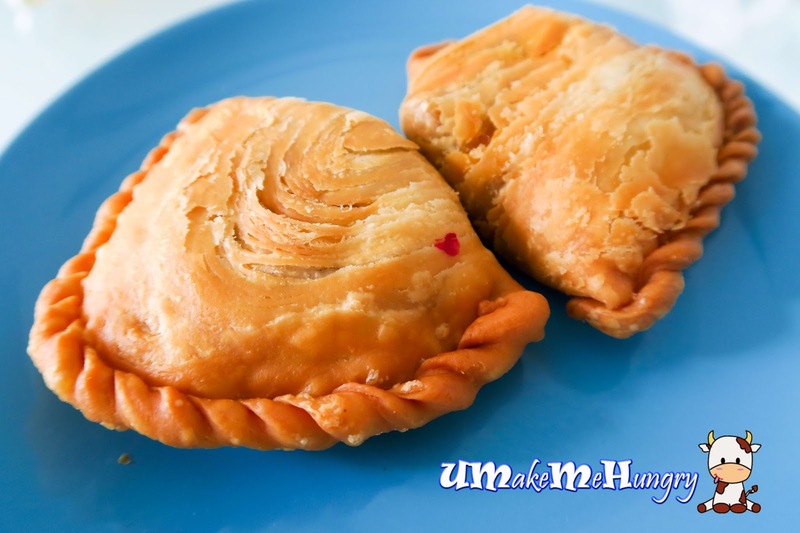 Varieties of the Curry Puff are something quite out of the ordinary for me as they do have durian puff, lemon tuna puff, mutton curry puff etc whereby not many places have such. 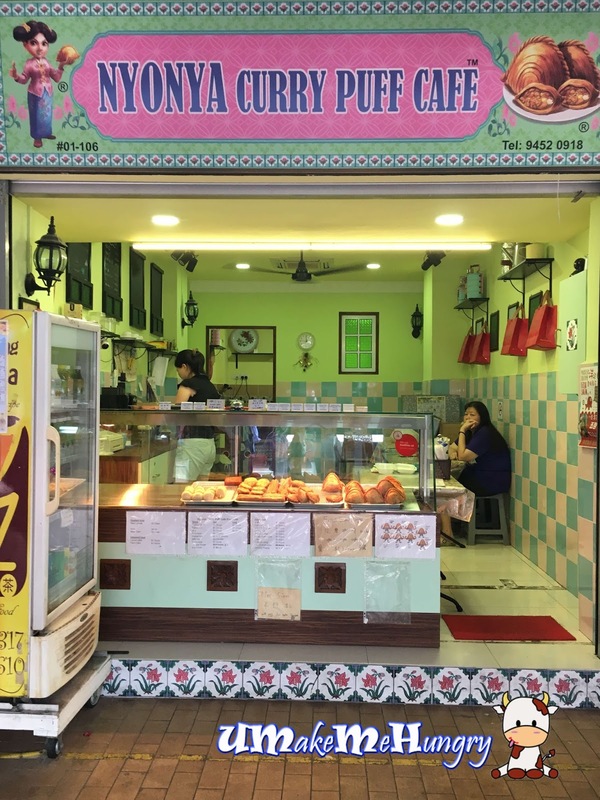 Nyonya Curry Puff Cafe is just a stone throw away for me and I will keep in mind to revisit them for another Curry Puff.